SUAKOKO, LIBERIA - OCTOBER 07: Health workers enter the high-risk zone as they make the morning rounds, at the Bong County Ebola Treatment Unit, on October 6, 2014 in Suakoko near Gbarnga in Bong County, Liberia. A team of health workers enters the high-risk wards, to remove waste from the previous night. 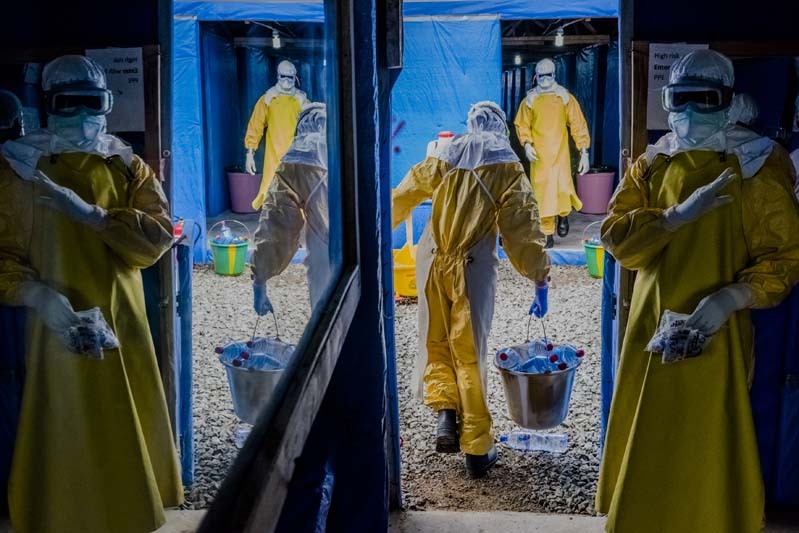 The second team enters afterwards, including medical staff and health workers carrying food, water, performing blood tests to be taken to test for the presence of Ebola, and to check on patients and provide medical assistance on the morning run.